The symbol on the left represents a polarised capacitor – it has a positive and negative lead. The symbol on the right represents a non-polarised capacitor – it can be connected either way around in a circuit. Capacitors have values that are give in Farads (symbol F). 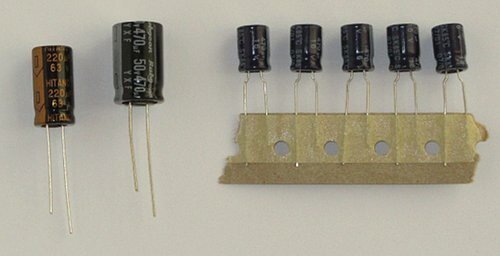 Capacitors used in electronics are usually in the micro-Farad, nano-Farad or pico-Farad ranges. 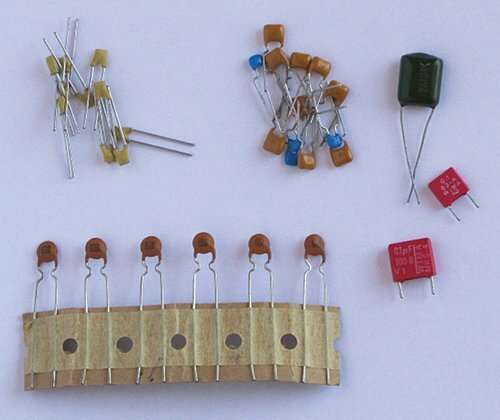 A one-hundred nano-Farad capacitor is written as 100nF or just 100n. It may be marked as 0.1 (meaning 0.1uF which is 100nF). Or it may be marked with 104, meaning 10 and four zeros: 100000pF which is equal to 100nF. 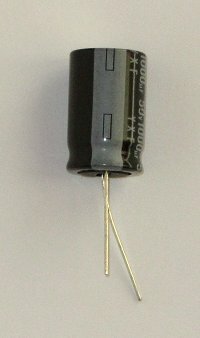 Capacitors have a voltage rating, e.g. 16V, 50V. The higher the voltage rating, the bigger the physical capacitor will usually be. When using capacitors in a 9V circuit, they must be rated at 16V or more.